Opened in 1988, AOI has been catering to Japanese dietary culture as one of the pioneers of authentic Japanese cuisine in Bangkok. AOI serves orthodox Japanese cuisine using in-season ingredients. 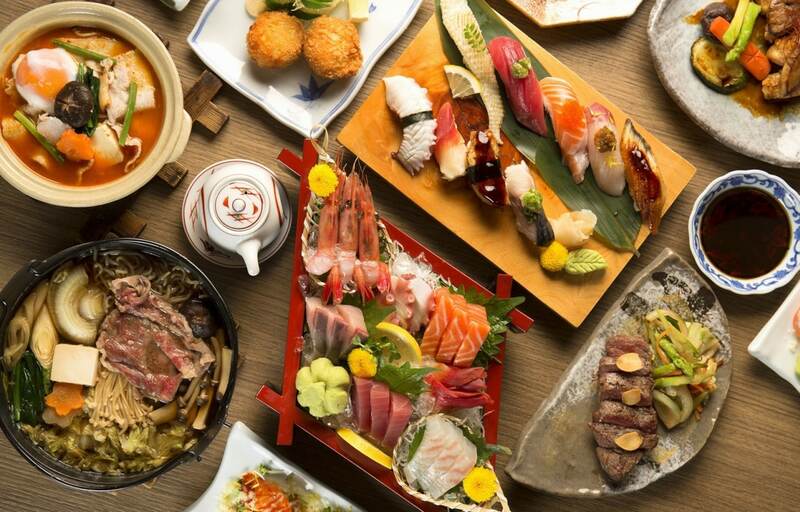 Some of the more specialized ingredients include Hokkaido whey-fed pork, Hokkaido beef, Hiroshima oysters, Shizuoka horseradish, as well as fresh fish from the famous Tsukiji Market and other locales around the country. Located halfway between Phloen Chit Road and Rama 4 Road of Wireless Road, aka Embassy Street, KiSara has been used by diplomats and business people for many years. This restaurant has been the setting for building bridges between Thailand and Japan, where corporate dinners have been held. This restaurant serves modern Japanese cuisine that balances traditional taste with fresh and modern aesthetics. 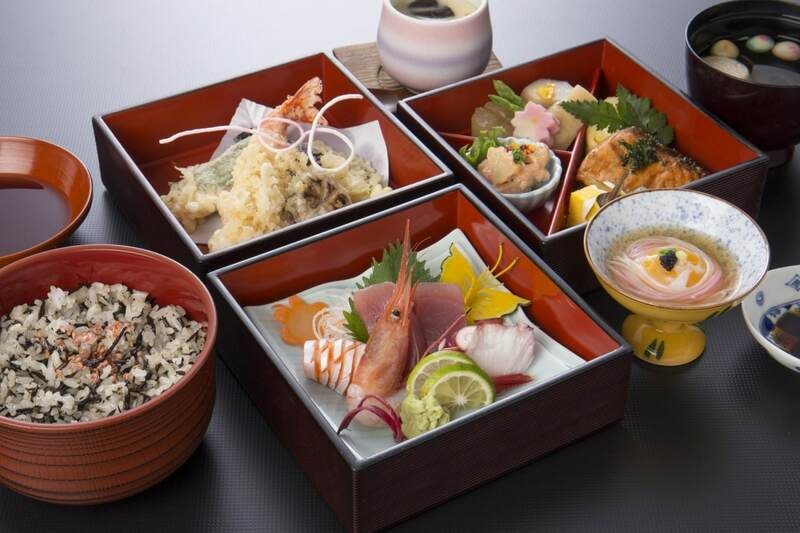 The first Yamazato restaurant opened at Hotel Okura Tokyo in 1962. Yamazato Restaurant at The Okura Prestige Bangkok is on 24th floor of the hotel, located in the center of Bangkok, giving you a spacious panoramic view of the heart of the city while you enjoy your meal. Opening its doors in 1997, Nanohana is a Japanese restaurant that serves Osaka-style Japanese cuisine from owner and Chef Hiroshi Izaki’s hometown. Selected kombu kelp and katsuobushi (dried bonito flakes) from Japan are used for soup stock. And, to its credit, one of the Thai chefs recently won a prize in a Japanese cooking contest! Kisso, a Japanese Restaurant at The Westin Grande Sukhumvit, is located just next to the BTS Asoke Station. You will enjoy your dinner in the charming atmosphere of its luxury interior and kimono-inspired costumed waiters. Mitsumori is a restaurant that has gained popularity for their handmade soba (buckwheat noodles) and yakitori (Japanese-style chicken skewers). Handmade soba noodles are made with Kitawase buckwheat flour from Hokkaido, and prepared by chefs every morning and afternoon. Tamaruya Honten is a Japanese yakiniku (Japanese-style barbeque) restaurant in Bangkok. The parent company of this restaurant has a 140-year history as a wasabi pickle producer. The specialty of this restaurant is the many kinds of wonderful beef from Japan, such as Hida-gyu (beef from Hida) and Hokkaido-gyu (Hokkaido beef). All meats are carefully selected A4 grade or higher. Opening in Fukuoka in 1976, Umenohana now has 70 branches across Japan. However, the first branch outside Japan opened in Bangkok in 2013. Umenohana is located on the second floor of Nihonmura Mall in Thonglor along with many other Japanese restaurants. This restaurant has large and small private rooms and is frequently used for business dinners. Teppen, an izakaya-style Japanese restaurant, opened four years ago in Bangkok. Now, a new branch has opened in the Sathon Business District in August 2017, with the concept of warayaki (straw-grilled dishes), kamameshi (rice dishes with meat and vegetables in a small pot) and sosaku Japanese cuisine (original and creative dishes).